An employee handbook serves as a guide for both employers and employees. It offers insight into company policies, discusses repercussions for stepping outside of those policies, and outlines employee benefits. However, if you're not careful, common mistakes within handbooks could lead to lawsuits. The wording in your handbook must be carefully crafted in order to avoid landing in court. We've compiled a short list of five policy mistakes you want to avoid at all costs. 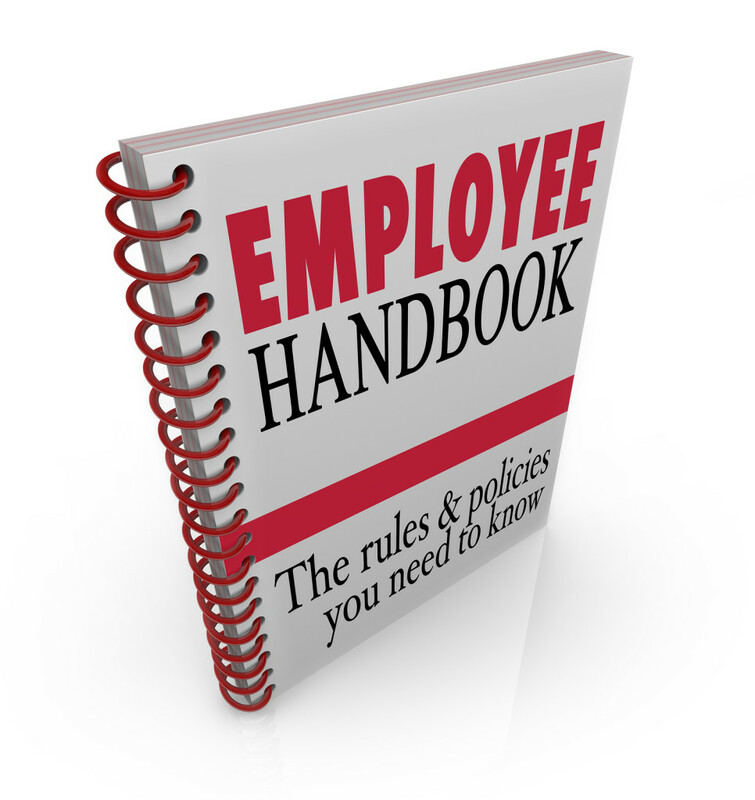 As mentioned above, your handbook is a guide; it should not be misunderstood as an employment contract. As such, it should avoid unintentionally making promises with the use of the word "will" instead of "may." Although most handbooks have some sort of statement at the beginning denying the use of the handbook as a contract, implied promises can send the wrong message and may hold up in court in favor of a disgruntled employee. Be very clear in your writing concerning circumstances that may lead to certain actions. While it's always a good idea to note consequences for certain behaviors within your employee handbook, you want to leave room for disciplinary changes and give the option of bypassing steps. Additionally, it's important to mention that an offense need not be identical to a previous offense to be cause for disciplinary action. These are important distinctions to make in case you end up in court over actions taken against an employee who has been terminated. This is a big one in today's social media-driven world. As unpleasant as it may be, employees do have a legal right to discuss wages and working conditions with co-workers--even on social media. Creating strict social media policies that seem to negate these rights can quickly lead to litigation. Just as employees have a right to discuss conditions with other employees, you have the right to create policies regarding technology use during working hours. You want to make it perfectly clear within your employee handbook that any technology (smart phones, camera, tablets, etc.) use during work hours is subject to inspection, and that there should be no expectation of privacy. If technology use policies are left unclear, employees could take you to court over an invasion of privacy. Never create your handbook simply by copying one you found online or that is used by another company. While it may be helpful to use these handbooks as a guide and to generate ideas for your own, you want to consider the environment of your company, as well as all local, state, and federal laws. Something written in a sample handbook may be completely illegal in your state. These are just a few of the most common employee handbook mistakes that could land you in court. For help with avoiding these and other errors, talk to a human resources expert. Reach out to us for more information on creating the perfect handbook for your business.